The Black Diamond Spot Head Torch is their most popular headlamp: fully-featured, the Spot has 200 lumens of power, fully adjustable brightness, Power Tap Technology, and a completely waterproof design made to take on everything from mountain storms to camping sojourns. 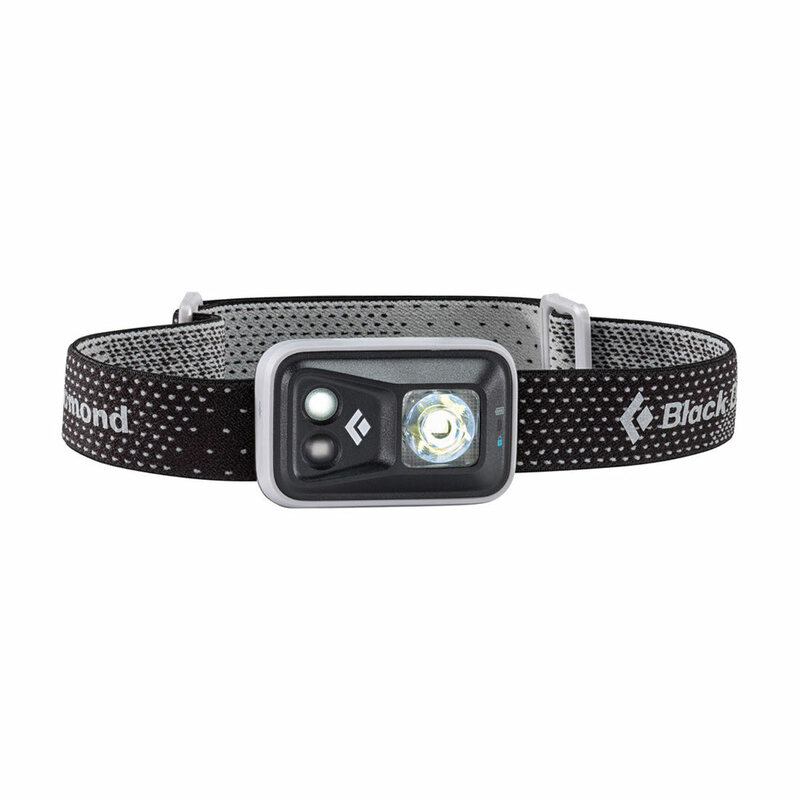 The Black Diamond Spot Head Torch features convenient Power Tap Technology which puts easy on-the-fly brightness adjustments at literally the tip of your fingers. With a handy lock mode and a battery power indicator, the Spot is safe from accidental battery drainage while in a pack or your pocket, as well as unexpected black-outs whilst out and about. A truly versatile head torch for the serious adventurer. Tested to operate up to 1.1 meters underwater for 30 minutes. If submerged, water may enter the battery compartment and it will still operate, and it should be dried out completely afterwards. Red night-vision mode has proximity and strobe settings, and activates without cycling through the white mode. Settings include: full strength in proximity and distance modes, dimming, strobe, red night vision, and lock mode. Prevents accidental battery drain from being turned on in a pocket or a bag. Sleek, low profile design uses three AAA batteries and three-level power meter shows remaining battery life for three seconds after switching on headlamp.